During the past few weeks, we’ve noted some similarities between political campaigns in the 1860’s and the modern era. We’ve learned that mudslinging and “creative insults” aren’t new. We’ve reminded ourselves that Americans are opinionated. There’s one aspect of 1860’s politics that we don’t see much anymore: political theme songs and music. Given the entertainment factors which our modern society embraces, it’s a little surprising that candidates don’t have theme songs…but then most folks don’t sing unaccompanied as they go about their daily tasks. Music was important in early American history. There wasn’t a lot of entertainment (the way we think of it today), and music was a way to pass the time. 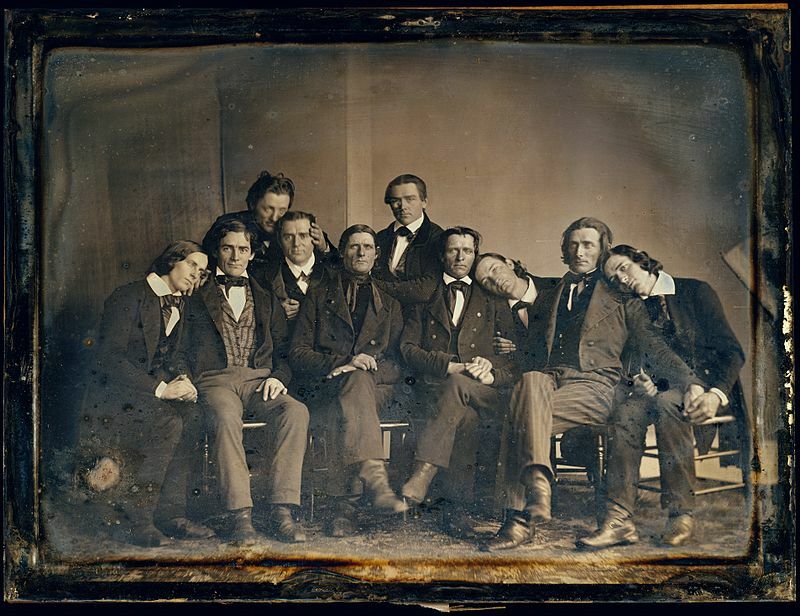 An individual could sing or whistle while working, frontier families might gather for a corn husking and sing-along, and, by the mid-19th Century, “glee clubs” were formed to bring talented vocalists together for fun and performances. While most of us are familiar with the famous marching songs from the Civil War and some of the Stephen Foster tunes have remained classics, there were thousands of other songs that have faded from memory. Certainly, some songs deserved to be shelved because they express extreme racism or negativity, but a lot of good music was “lost” and deserves rediscovery by historians and musicians. Since music was so popular during the 1860’s, it is an enlightening look at politics of the era. Keep in mind that groups would actually sing these lyrics at rallies, parties, bars, or just to annoy or please their neighbors. Perhaps it is a surprise that Abe Lincoln wasn’t a favorite of Civil War era song writers. Sure, he had music named after him, but the song crafters significantly favored other famous figures. Irwin Silber – a music researcher – has suggested that if the 1864 Presidential Election could’ve been won by the candidate with the most positive songs, McClellan would’ve arrived at the Executive Office. [i] It wasn’t until after Lincoln’s assassination that a plethora of adoring songs were written about him. For he’ll be forgotten a hundred years hence. 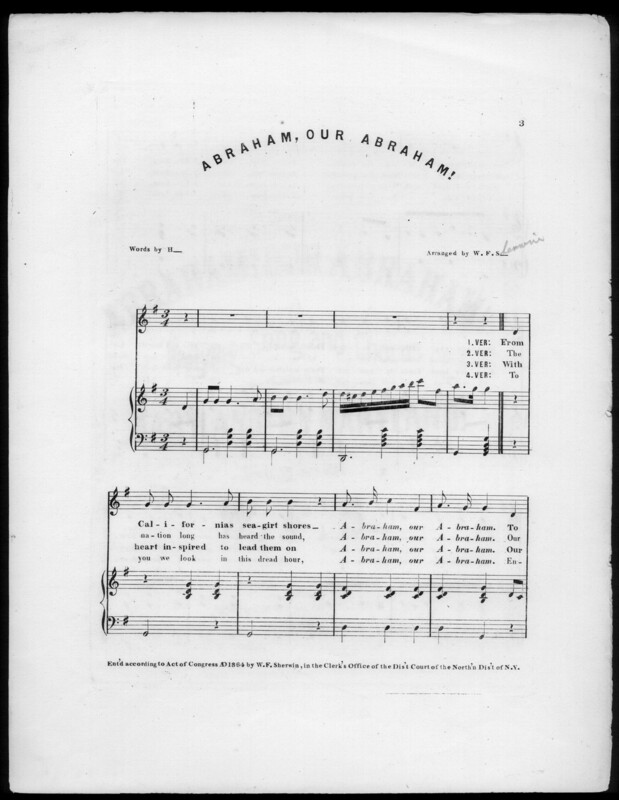 One of the most famous pro-Lincoln campaign songs from the 1860 Election was “Old Abe Lincoln Came Out Of The Wilderness.” Sung to the tune of “The Old Gray Mare She Ain’t What She Used To Be,” the lyrics have evolved through the years to celebrate more than Lincoln’s common man background and include salutes to his role as Union defender and emancipator – ideas which obviously wouldn’t have been included in the 1860 version. Not to forget McClellan and the songwriter’s campaign for him, here is an example of his campaign songs from the 1864 Election. We’re in Rebellion now, the greatest one in history! But Abe Lincoln takes it cool, it reminds him of a story. Oh husbands lost in battle, and under Southern soil now sleeping. Civil War era political music helps us understand the feelings of the people. It wasn’t an era where people vented or preached on Facebook and Twitter. But songs were a part of their society. Depending on what was sung or whistled, a person could send a clear message to his friends about his political views. [i] Irwin Silber. Songs of the Civil War. (Dover Edition, 1995). Page 89. [iii] Ibid, pages 90, 96. 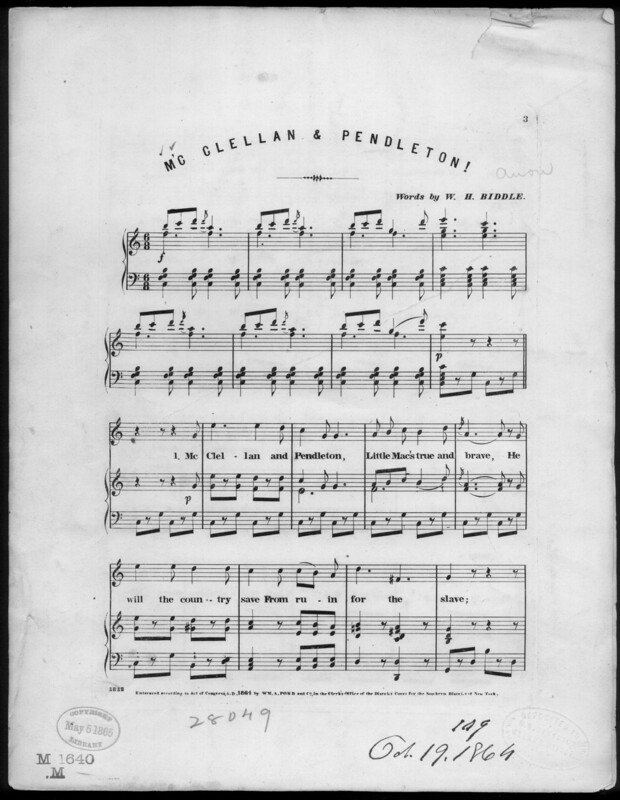 This entry was posted in Civilian, Common Soldier, Emerging Civil War, Lincoln, Politics and tagged 1860 Election, 1860s-politics, 1864 Election, Abraham Lincoln, campaign songs, Civil War music, George McClellan, Hutchinson Family Singers, Lincoln and Liberty. Bookmark the permalink. I play this sort of thing almost 24-7 at home–brass bands & 1860s politics makes a lot of things fall into perspective! Thanks for FINALLY using a music clip here at ECW. I hope we do much more of this! Huzzah! I love brass band music too. It’s so patriotic and fun!